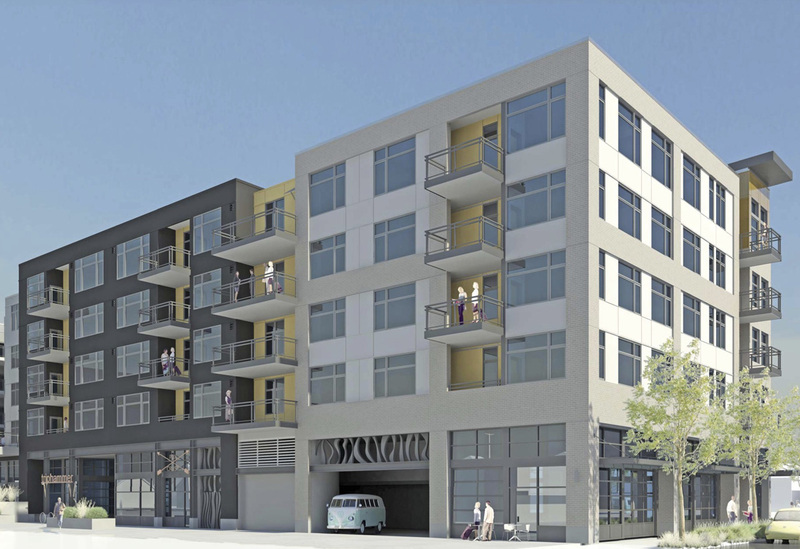 The site at 4141 N Williams Ave, seen below in 2014, was previously home to the Oregon Association of Minority Entrepreneurs. OAME sold their property to Security Properties for $4.2 million in 2013, and has since relocated to an office near Delta Park. 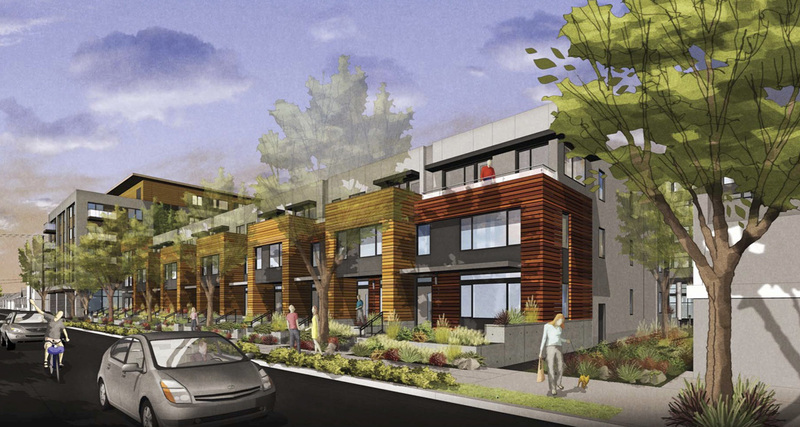 The primary materials at the townhomes on N Vancouver will be in-situ concrete, cement fiber panel and lap siding, meranti wood siding, metal panel canopies and vinyl windows. The larger building is expressed as two different forms: at N Skidmore and Williams the primary materials include metal panel siding, cement fiber panel, stucco, vinyl windows and aluminum storefront windows; while at N Mason and Williams the primary materials include brick, metal panel siding, vinyl windows, and aluminum storefront windows. 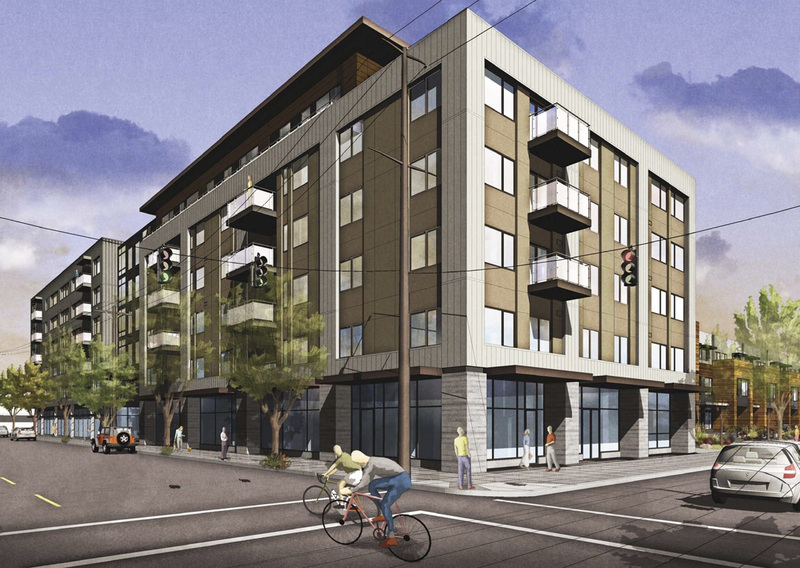 The applicant has proposed the development of a large multi-building project in the Boise Neighborhood, near the northern end of the growing Williams/Vancouver couplet district between Cook and Skidmore Streets. 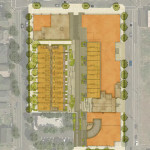 Organized around an interior woonerf/courtyard space, the project orients the bulk of the building mass to the western side of the site across from a similarly-scaled project, currently under construction. Conditions of approval are necessary to ensure safe and convenient bike parking, as well as material quality and a clean appearance to the fiber cement material installation. 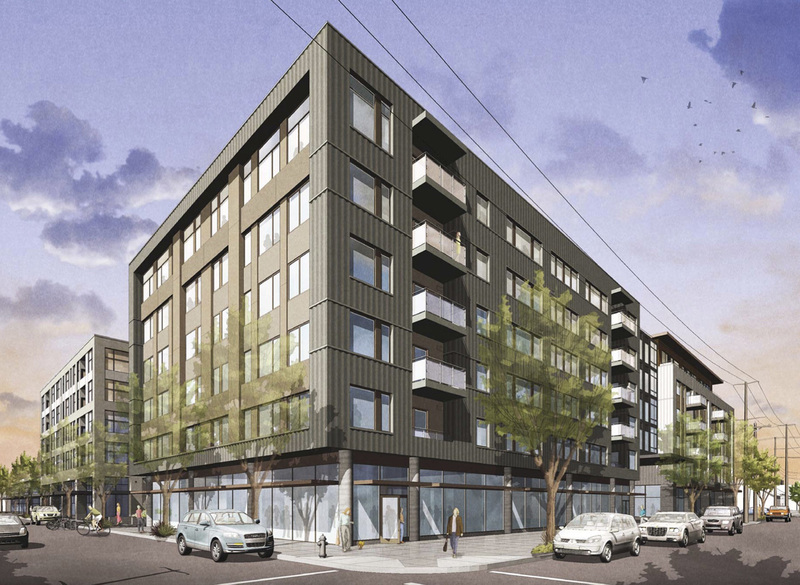 With final revisions made per staff and neighborhood suggestions to improve the material quality of the project, specifically by replacing significant amounts of fiber cement siding with rigid metal panel, stucco and wood, the proposal is able to meet the applicable guidelines and should be approved. The first construction permits for the Peloton were issued in December 2014, and work began on site shortly afterwards. The project is scheduled for completion in the second quarter of 2016. 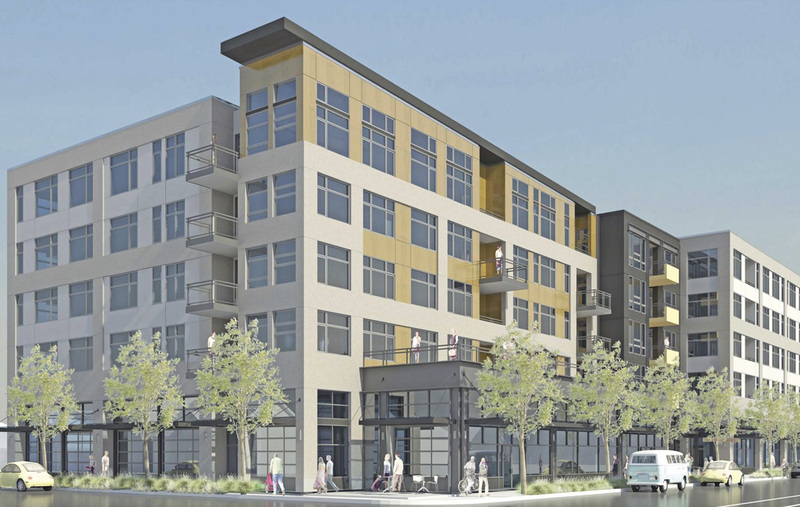 This entry was posted in Boise, Myhre Group Architects, Peloton, Security Properties. Bookmark the permalink.